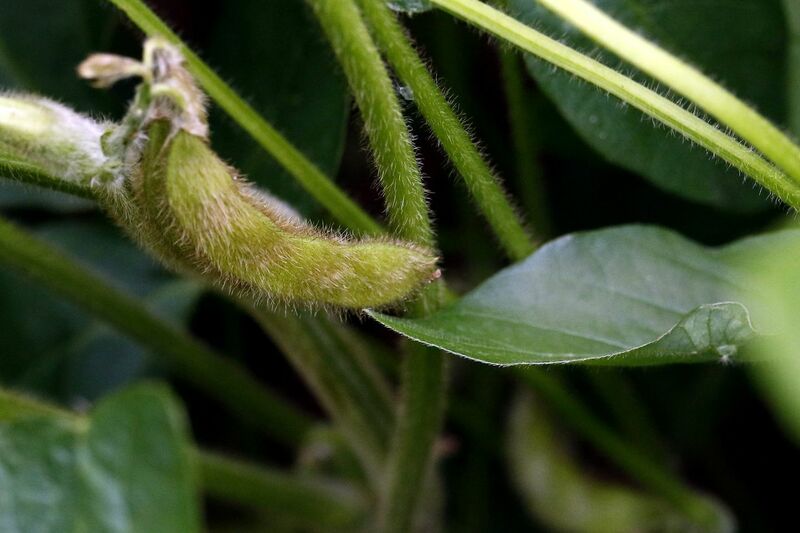 Soybean farmers, including those in Pennsylvania, have been caught up in trade disputes, one of the key economic issues of the midterm elections. President Trump is overseeing a booming economy with low unemployment, high stock market prices and strong GDP growth. One would think Republicans running for Congress would brag about these economic gains, but they're hardly talking about them on the campaign trail in Pennsylvania and New Jersey. "They're responding to what the public is saying within polls, that this issue isn't as high on the minds of voters as it sometimes is in the past, especially during economic recession times," said Christopher Borick, director of the Muhlenberg College Institute of Public Opinion. Still, the midterm elections could have a major impact on economic policy. A Democratic takeover of the House could stymie Trump's economic agenda, which has so far included sharply lower corporate tax rates, a series of tariffs, and cuts in regulation. New Jersey's Third Congressional District: The Republican rewrite of the federal tax code is controversial in New Jersey because it scaled back the State and Local Tax (SALT) deduction, a provision expected to harm some residents in high-tax regions like the Garden State. U.S. Rep. Tom MacArthur, a Republican, was the lone New Jersey lawmaker from either party to vote for the tax law, making taxes a major issue in South Jersey's Third Congressional District, which includes parts of Burlington and Ocean counties. Andy Kim, MacArthur's Democratic challenger, has called the tax overhaul a "disaster," warning that home values would drop because of the law's $10,000 cap on SALT deductions. He has noted most of the tax law's benefits went to big corporations, which received a permanent rate reduction from 35 percent to 21 percent. The law also lowered tax rates for each individual income level, but those cuts expire after 2025. MacArthur credits the tax cuts for boosting the U.S. economy by spurring investment and hiring, as well as doubling the standard deduction and child tax credit. He has defended his vote by noting that the average property tax bills in his district are well below the $10,000 SALT deduction cap, and said his involvement prevented the deduction from being eliminated entirely. Like Kim, he wants Congress to make the individual tax cuts permanent. An August Monmouth University poll found voters in the district were split on the tax law – 40 percent approved while 40 percent disapproved. But 45 percent said they expected their federal taxes to go up because of the overhaul, compared to 13 percent who said they believed their tax bills would drop. Pennsylvania's Seventh Congressional District: In Pennsylvania, polls have shown that Trump's trade and tariff policies are unpopular in Lehigh Valley's Seventh Congressional District, where soybean farmers and manufacturers have exposure to the tariffs against China and on steel and aluminum. Most voters (53 percent) in the district oppose tariffs on steel and aluminum, compared to 39 percent who support the tariffs, according to a New York Times Upshot/Sienna College poll from last month. The poll also found that most voters there (59 percent) support the North American Free Trade Agreement with Canada and Mexico, which the Trump administration has renegotiated. The candidates in the district have tread lightly on tariffs and trade. Republican Marty Nothstein said free trade must be fair trade, so he understands Trump's misgivings about unfair practices. But he said tariffs on steel and aluminum amount to an indirect tax on American consumers while creating trade havoc with Canada. "We must take care to restore the equilibrium needed to keep Pennsylvania's international trade on the rise," he said in a statement. Democrat Susan Wild's campaign did not respond to requests for comment. She has told reporters that the United States needs to crack down on countries that commit unfair trade practices, but she doesn't want the country to fall into a trade war. The Trump administration struck a deal with Canada and Mexico in October to update the trade pact with the North American countries. The president has been touting the economy and the agreement ahead of the midterm elections, calling it the "most advanced, modern, and balanced trade agreement ever" during a speech in Philadelphia. Trump said he and Republican lawmakers are working on a "very major tax cut" for the middle class during a recent campaign rally in Nevada, according to the Washington Post. Trump said the cuts would be done before November, though Congress is out of session until after the midterm elections.